The Gutwein brothers became captivated by coffee in 2005, and they have been cultivating the perfect cup ever since. When you’re switching from your current roaster to Copper Moon, we understand the importance of a smooth transition. Our professional team of coffee tasters will cup and match your coffees perfectly. Once your coffees have been matched, we “lock-in” your formula and it won’t change. You’ll get consistent coffee on every order. Copper Moon Coffees are carefully and lovingly batch roasted in our perforated drum roasters. 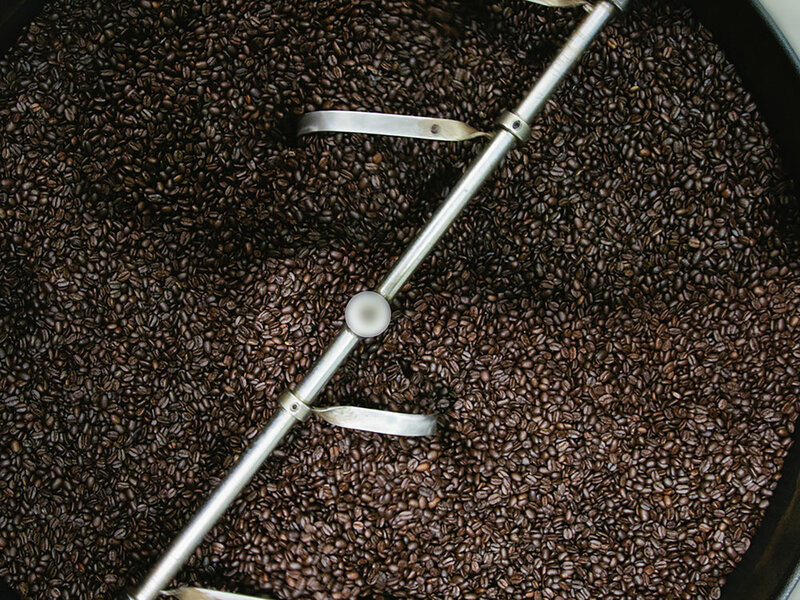 Our state-of-the-art equipment allows us to maintain the perfect temperature from the “first crack” until the final roast. Our passion is to deliver coffees that are perfectly roasted with a uniquely smooth taste that brings out the best in each and every blend we offer. Copper Moon is a Safe Quality Food Level 2 Supplier. We undergo a rigorous annual audit whereby we comply with a long list of regulatory initiatives. We have consistently achieved high ratings year over year. 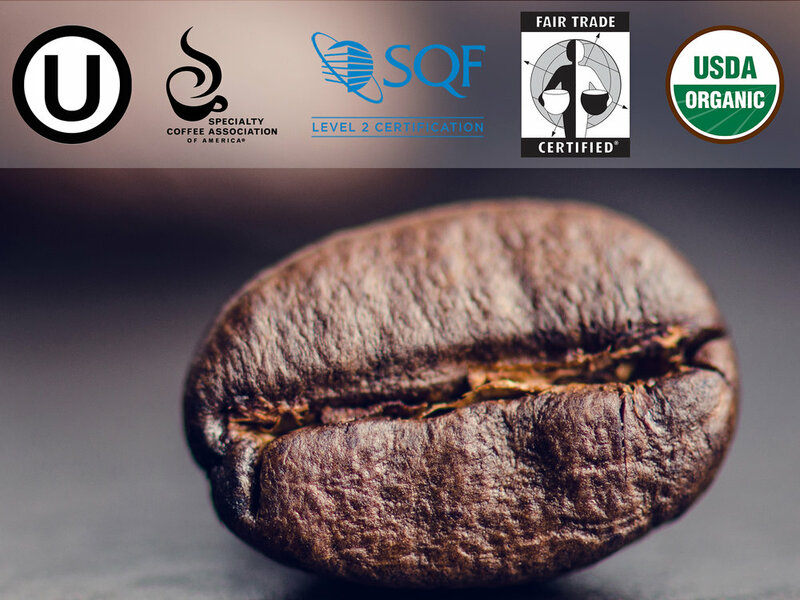 In addition to our quality food certifications, we offer these additional certifications on all or some of our coffees, as shown above. We don’t just roast and sell coffee. We sell our own coffees in our own stores. So, we know what real customers like and want. Everything we learn gets transferred to the coffees we offer “for business”.